On March 27, the Barony of the Cleftlands gathered together to celebrate All Roads Lead to Cleftlands Rome! 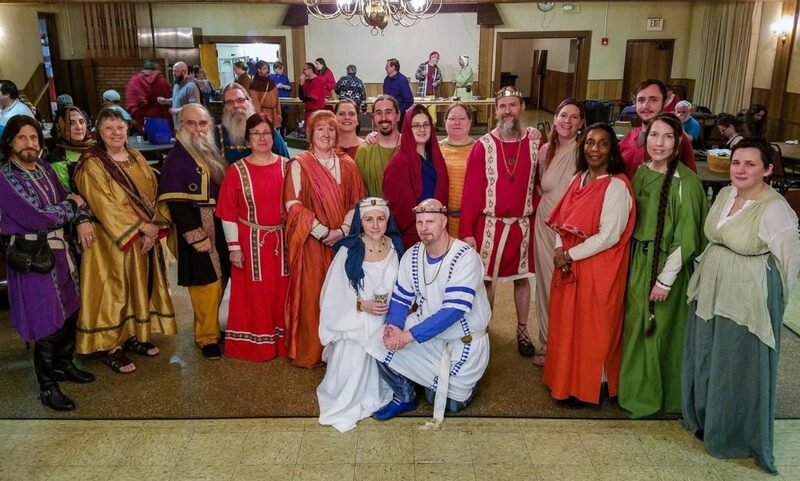 Our many members arrived for a night of fine dining, dancing, and revelry courtesy of Rome. Special thanks to Lady Claricia for orchestrating this revel, Duchess Runa Æikibrandskona for arranging the many teachers who shared their knowledge on a wide variety of related subjects (Mistress Elizabethe Alles, Duke Eikbrandr Solgyafi, Master Aiden Elfäedur, and Boiarynia Katalena Ivaniaia zhena Shishova) and the populace for attending and enjoying a relaxing and entertaining revel.